Dell has expanded its NetReady pay-as-you-go roaming mobile service to cover more models in its Latitude, Dell Precision, XPS and Inspiron laptop ranges. Laptops in its NetReady range come with an integrated SIM which, once registered, lets you press a button to connect to the internet in 29 European countries covered by Spanish telco Telefónica. The company claims that the service can reach up to 42Mbps downstream using Qualcomm's Gobi 3G technology. 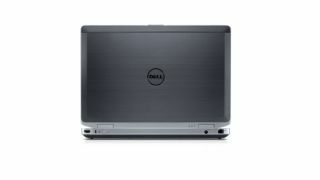 Dell's Latitude laptops now equipped with NetReady SIMs are: Latitude 10, 6430u, E6230, E5430, E5530 and E6430s models. Those in its Vostro laptop range include the 3360 and the 3460. They appear alongside the M4500 and M6700 in Dell's Precision mobile workstation range. We've contacted Dell to find out which models in its XPS and Inspiron ranges now come with NetReady SIMS. Dell says that its NetReady service provides transparent pricing when hopping across nation's borders, and bundles are sold in 10 different currencies, including the Euro. Call packages start at £0.69 for 30 minutes and range to £14.57 for one month for coverage in the UK, Ireland, Spain, Germany and the Czech Republic. They are joined by more expensive plans that cover all 29 countries. What's best for a small business, a laptop or a tablet?